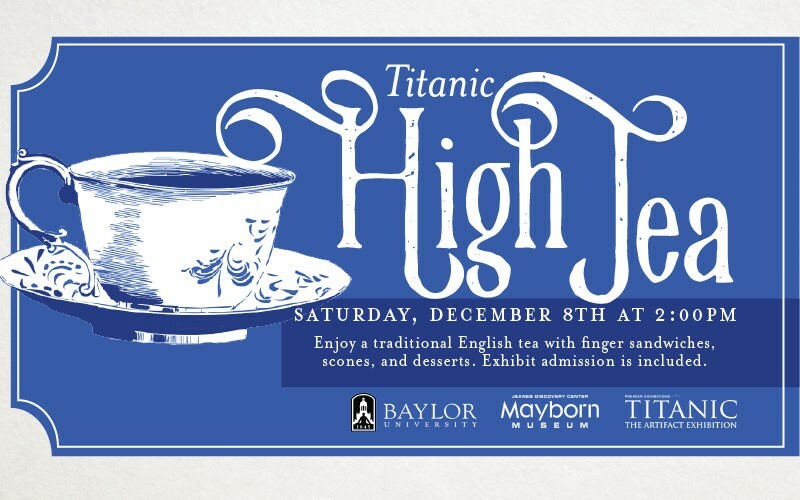 Step back in time and enjoy a traditional English tea service with finger sandwiches, scones, and desserts. Wear your fanciest hats and period costumes. Tickets are $45 for adults, $40 for children, $40 for adult members and Baylor students and $35 for children members. Admission to Titanic: The Artifact Exhibition is included in the ticket price.